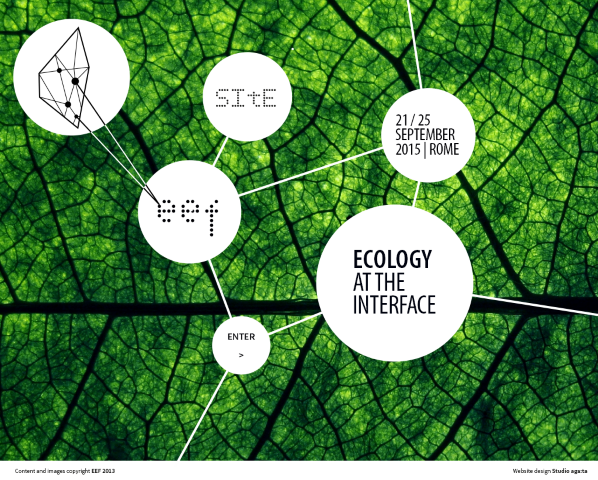 This conference is aimed at presenting the most advanced achievements of the ecological research, discussing with scientists from interfaced fields their impacts on the applied problems faced by our societies, and transferring the main ideas stemming from these discussions to the different stakeholders working and interested in services and societal benefits based on ecologically relevant interfaces. The Ecological European Federation and the Società Italiana di Ecologia are interested in promoting a combine effort of Scientific Societies and Institutions from interacting fields of knowledge and Institutional stakeholders in the organisation of the Conference Programme. For more information, please visit the EEF Conference website.